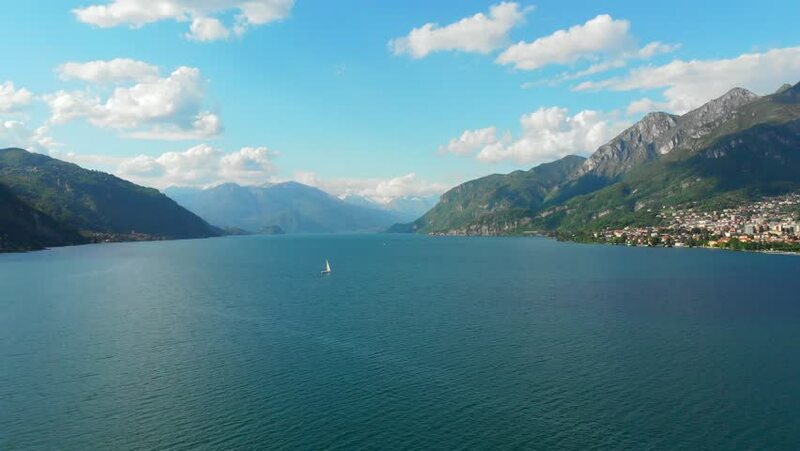 Scenic 4K drone footage above Lake Como in Italy. Nice white clouds in the blue sky and a sailboat on the lake add to the beautiful view. hd00:19Amazing view from island Korcula to island Hvar in Croatia. hd00:08Flyover of the beautiful Lake Atitlán in Guatemala overlooking the Indian Nose mountain in background. This video was captured using a drone.